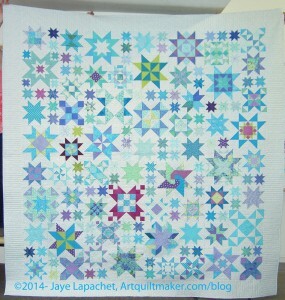 I actually finished this piece last week (or, maybe, the week before), but it is so huge and the weather has been so wet that I wasn’t able to take a photo until Maureen and Nancy held it up for me at the CQFA Meeting last weekend. Thanks, Pals! It was also the first time I had seen it all completely finished. I wrestled it in my lap to bind it, but didn’t even get DH to hold it up, because we were really busy last week and I was afraid it would have defeated him as well. 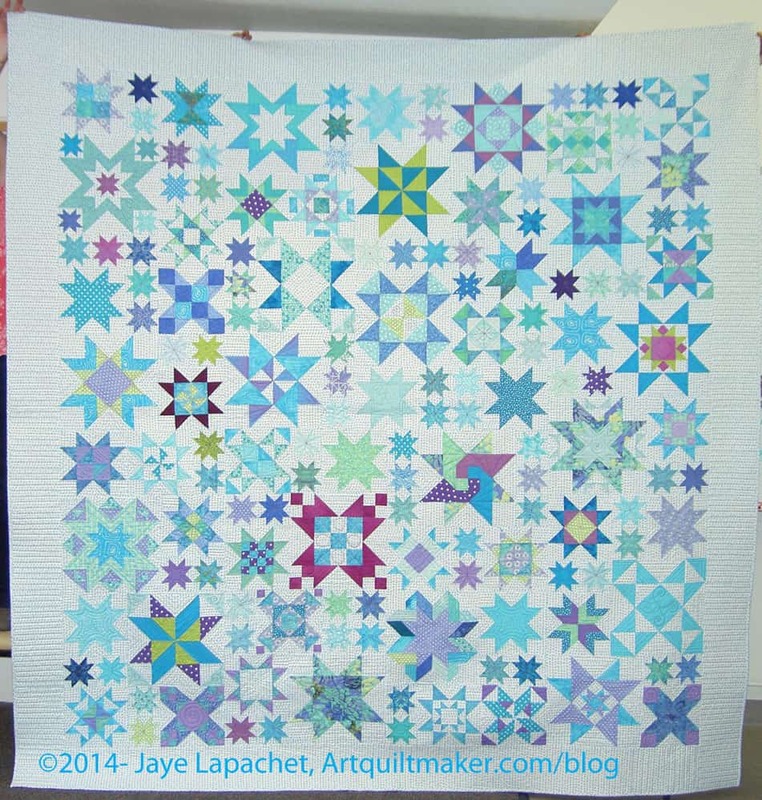 I am so pleased with how this quilt turned out. Not only is the finished pieced lovely, but it brings back good memories, despite some complaining, about working on a project with TFQ. She still has to finish hers, but perhaps seeing mind finished will spur her along. I really like the different sized blocks. They really create a lot of movement in the quilt. I want to make another one. Crazy, I know.